On March 4th, in less than one week, Kenya will be holding its 2013 presidential elections. After the last presidential election in 2007, an estimated 1,000 people were killed and 600,000 people displaced due to election-related violence. In 2007, voters were not only divided along party lines, but also along tribal/ethnic lines. * War broke out even in urban areas, primarily between Kikuyu and Luo people. Many children who attend Daylight are orphaned as a result of cattle rustling in the rural, nomadic outskirts of western Kenya. However, some of the children who attend Daylight are orphaned or have lost a parent due to the election violence in 2007. In 2008, Moses was rescued and brought to Daylight following post-election violence. His family comes from the Kikuyu, a tribe targeted during the violence. At Daylight, Moses has found a safe place to grow and learn. Please keep the Daylight staff and students, and the whole nation of Kenya in your thoughts and prayers this week. *Learn more about 2007 election violence. Both times I have been to rural villages, I have left with the face of a new friend etched in my mind, and I know I will never forget those faces. Three years ago in Ompolion it was Emily, and this year in Alale it was Solomon. For whatever reason, and I’m sure God was involved, I connected with those two people and they have come to represent why I do what I do at Daylight. I remember the feeling of saying goodbye to Emily, getting into our truck, and realizing she couldn’t just get into a truck and drive away to an easier, safer, healthier, educated life. 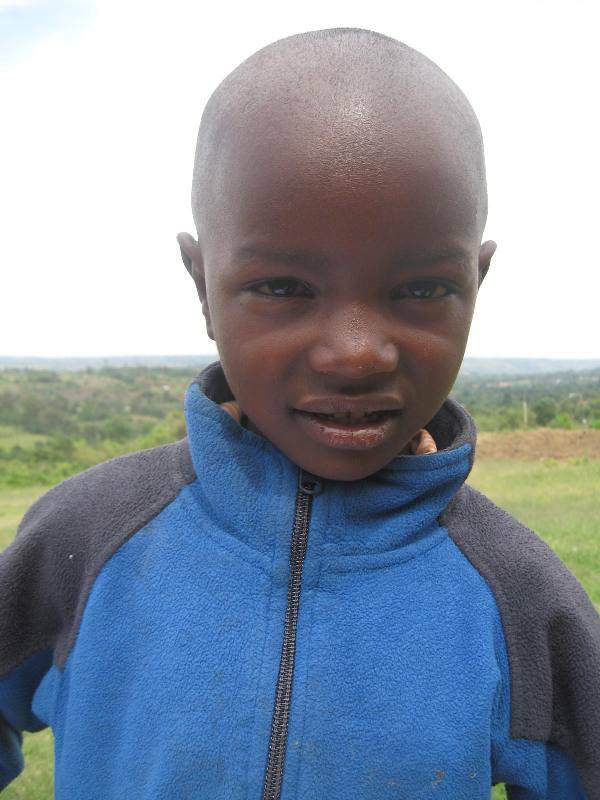 Solomon is able to attend an adult literacy class, and perhaps he will have some basic skills. However, their lives will always remain difficult because they never received an education. But with Daylight School, there is hope for their children and future generations to have a chance for easier, safer, healthier, educated lives. I believe it is the future that God desires for all of his children and that is why I am involved in Daylight. When I visited Daylight School three years ago, it was renting space in a church for the kids’ classrooms. Since then, advisers in Kenya and the U.S. board have been making plans, raising money, constructing buildings and buying land. The opportunity to visit Daylight last month and see all the progress and changes was a wonderful experience. I kept marveling at the the beautiful setting in which the kids would be growing, learning and playing. I love that there is plenty of room for games, gardens, crops, cows, buildings and more. During our time at the school, we met James, the wonderful headmaster who cares greatly for the children, and all the teachers–some have been with Daylight for several years. We shared about life in Minnesota, served porridge, planted trees and taught kids the game “four-square.” In return, the kids shared their smiles and laughter, held my hand, sat on my lap, sang songs and reminded me how much God is alive and active in Daylight. We also taught the Bible story about Jesus, the Good Shepherd, and completed an art project featuring sheep. I relished seeing Michael’s family again and met his youngest son, Joshua for the first time. My time there was deeply rewarding. I am so thankful for Michael and Nathan’s vision for Daylight, for all our supporters, and that we are all on this journey together. We have been selected to move onto Round 2 of the Innove grant application process, funded by Colonial Church of Edina, MN. Daylight is one of now 45 applicants, narrowed down from 139 applicants in Round 1. For Round 2, we were asked to create a 2-minute video explaining why we think Innove should pick Daylight to be a semi-finalist for this grant. Check out the video! Please keep praying for Daylight during this process. We learn if Daylight is a semi-finalist mid-February. 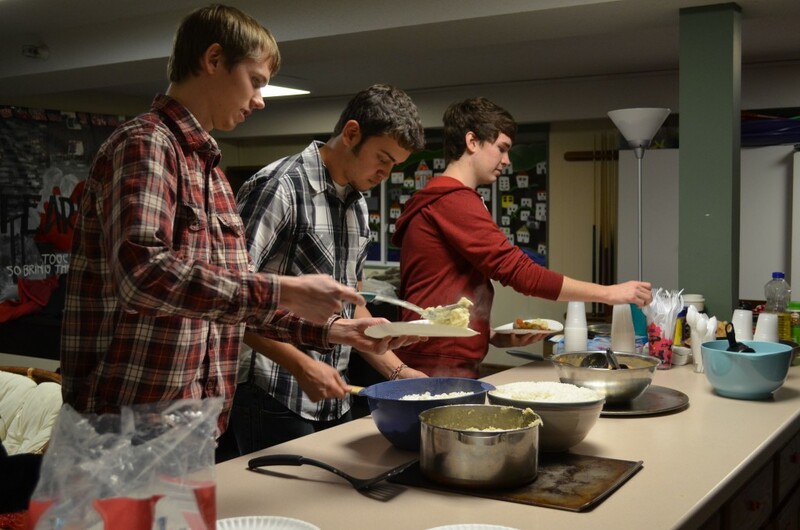 There was a great turnout at Bethel University for Bethel’s first Daylight dinner! Around 25 people attended the event, with a number hailing from Kenya! 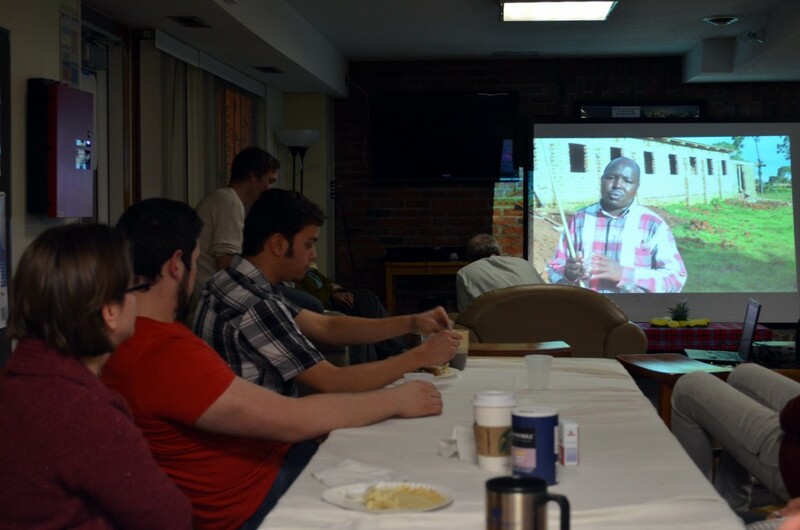 We enjoyed a Kenyan meal of beef stew, ugali, and rice topped off with a piping hot cup of Kenyan chai. Moreover, it was an honor to hear from Lenny and Lauren’s hearts as they each shared touching stories of their times at Daylight. We listened and prayed together as God moved in our hearts, ending the night with some great conversations. I am excited to see what God has in store for Daylight’s relationship with Bethel as we start our first campus fundraiser of the new year! Host your own Daylight dinner! For more information, check out our “Daylight Dinner Party Plan” ideas.